Complete Results, Biographies and Book Cover etc. 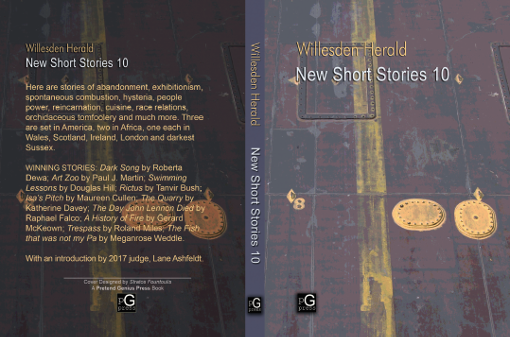 I have just sent a newsletter to our 1762 subscribers, with the cover reveal, biographies, publication details etc for Willesden Herald: New Short Stories 10 and other news. Link to view online: Newsletter. Many thanks to Stratos Fountoulis for the cover design and once again to Lane Ashfeldt, to Liars' League for continuing support over the years, and to the much-missed Willesden Green Writers' Group, who helped keep this competition going through hell & high water. And all writers everywhere, here's to you!